It’s always nice to see a talented student positively representing Penn State in the media. 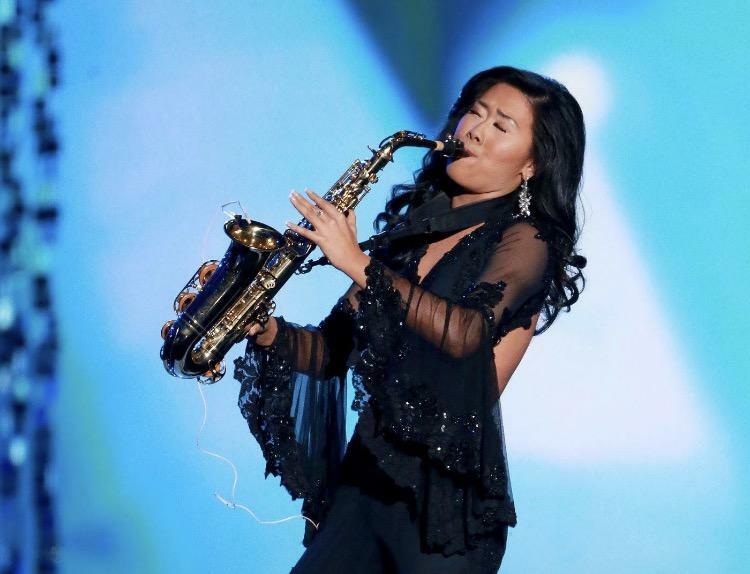 Katie Schreckengast of Palmyra brought honor to the Penn State name last week while competing as Miss Pennsylvania in the Miss America Competition. 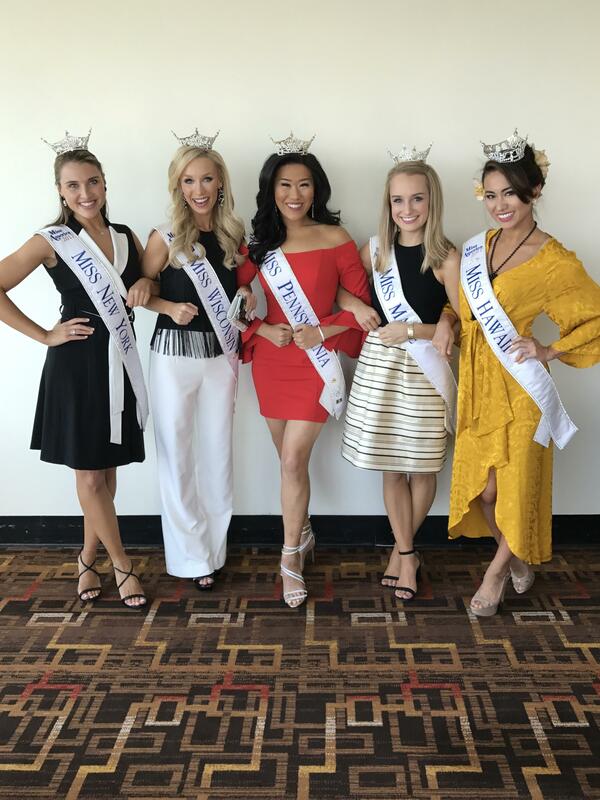 Katie made it to the Top 10 of the nationally televised pageant on Sunday, Sept. 10, completing the swimsuit, evening gown and talent rounds of competition. Katie spoke with The Tab about her time competing in the pageant and her time at Penn State. 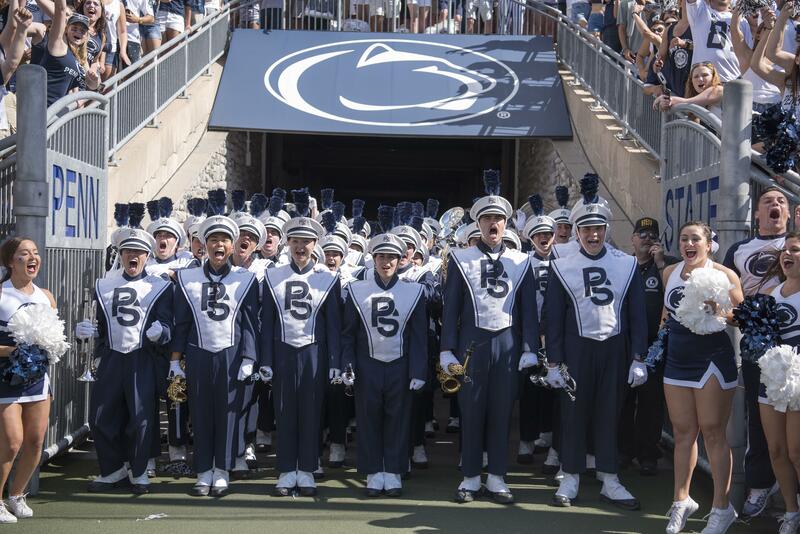 Currently majoring in broadcast journalism at Penn State, Katie plays alto saxophone for the Blue Band and used this as her talent during the race for the crown. The crowd applauded as she performed a beautiful rendition of Beyonce’s “Listen”. 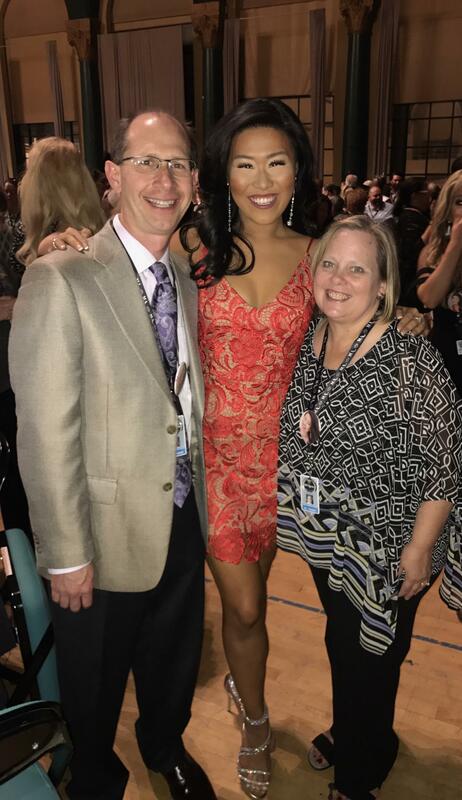 Katie took to Instagram explaining how she feels like a winner regardless of the pageant's results. "I have accomplished the two goals that I made for myself before leaving for Miss America," she wrote. Katie defined these goals as sharing her adoption story with a national audience and being 100 percent herself throughout the entire competition. Her adoption story is the reason behind her chosen platform, Building Families Through Adoption. Katie is excited to have been featured as number five in Cosmopolitan’s article, 8 Women to Watch at This Year’s Miss America Pageant. The article highlights how she uses her adoption story to empower others by visiting schools and hosting other speaking engagements. 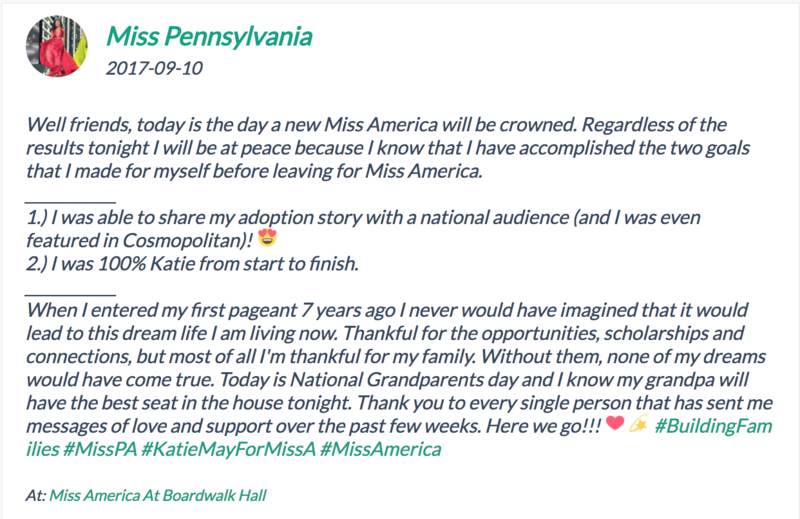 “The crown that I wear as Miss Pennsylvania serves as a microphone for me to reach other people that may not know a ton about adoption, or are afraid to share their own adoption stories,” stated Katie. Katie had a difficult time when asked what she considers her fondest memory from the competition, as the entire experience was so incredible. What made this inspiring young woman decide to bring her talents to happy valley? Originally, Katie knew that she wanted to pursue a degree in broadcast journalism and Penn State has a fantastic program. After this whirlwind of an experience, Katie attended the game vs. Georgia this past weekend with her sash and crown perfectly accessorizing her obligatory Penn State jersey. Katie looks forward to continuing to spread her message and empower those around her both in the Penn State community and beyond.